Only 18 pages left to go!! Plus dialogue… that’s pretty important too. Anyway, the new page is great. I love Chiang’s Wonder Woman!! 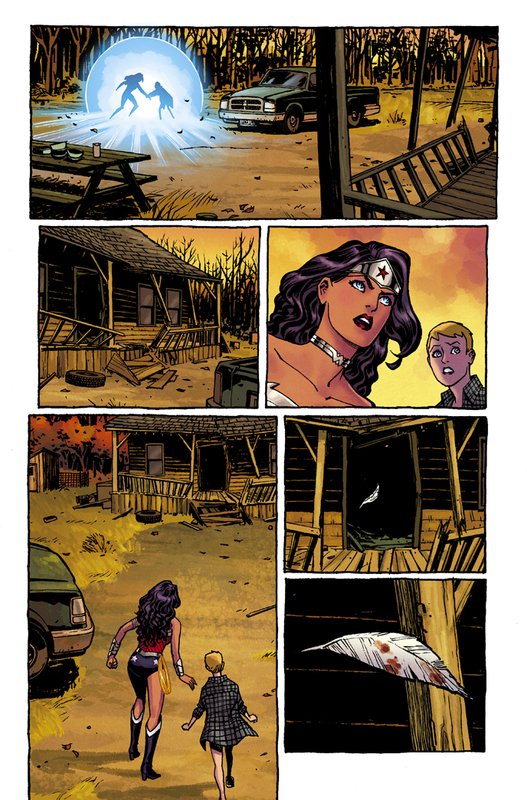 We’re not getting a ton of story hints from the little we’ve seen so far, but it appears that Wonder Woman and her unknown blonde friend were somehow teleported into this locale with it’s dilapidated cabin and then set upon by a fiendish archer. I suppose we know for sure that it’s set in the present day in man’s world (with Wonder Woman, it could have been set at any point in time and solely on Paradise Island if they wanted). I’m sure we’ll get more pages as the relaunch nears, perhaps with some dialogue this time. This is far and away the awesomest looking book in the whole relaunch… be sure to pick up Wonder Woman #1 at your local comic shop on September 21!! 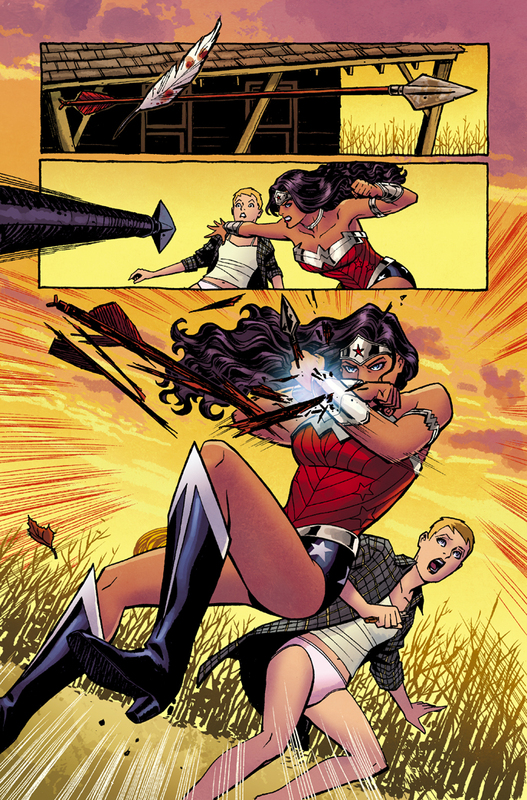 This entry was posted on July 26, 2011 at 3:38 pm and is filed under Comics, WW Comics. You can follow any responses to this entry through the RSS 2.0 feed. You can leave a response, or trackback from your own site.